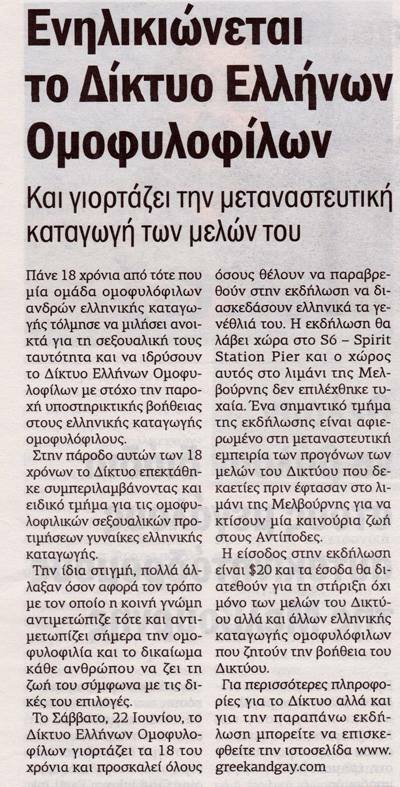 Don’t missed today’s issue of Neos Kosmos. 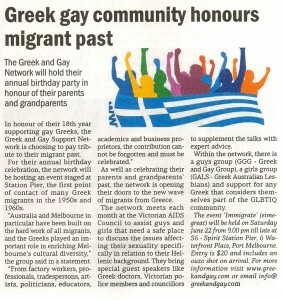 (Sat 25 May 2013) We’re in it with a mention of our groups Immigrate Birthday Party. Your bound to pick up a copy off dads or mums coffee table and its easy to pick out the right issue. Its the one with abs on the front. I love that this one is in Greek because it will definitely open discussion with a lot of families who may be having trouble finding the words to talk about it. 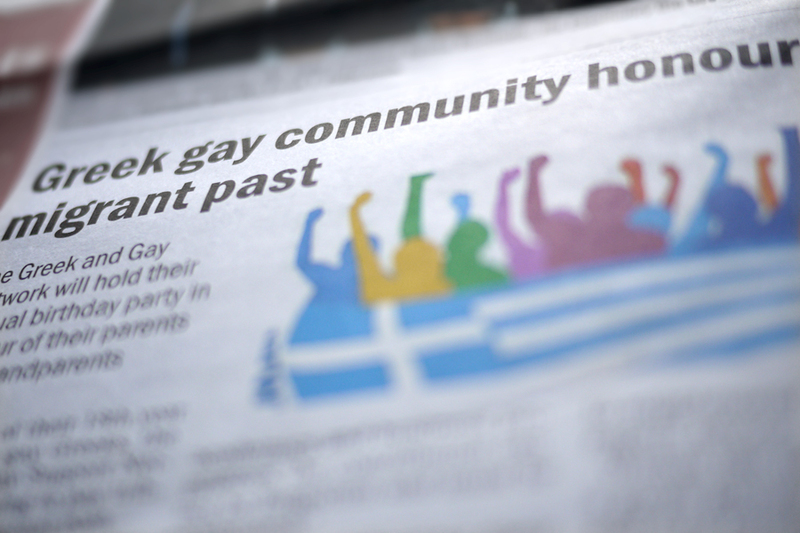 After all the reason we’re here is because we need a support group to talk and share our experiences about growing up Greek and gay. If you need support come along to one of our support meetings. Some pretty good reading overall and a nice article about our concerns regarding XRISI AVGI or however you spell it. Multiculturalism definitely enriches our world. 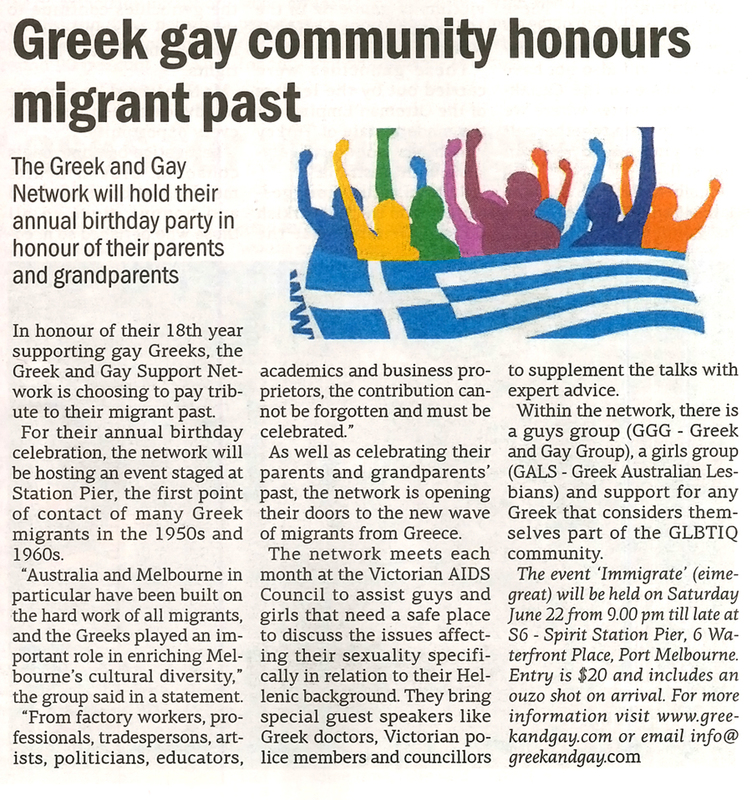 Well that was last weeks editorial and flicking through Neos Kosmos this weekend I found further support thats proving our Greek community Media are supporting us more than we expected. It definitely is a New Society these days for Gay and Lesbian Greek Australians.